Can Cyberpunk 2077 Run on PS4 and Xbox One? Probably. Real Talk: Can Cyberpunk 2077 Run on PS4 and Xbox One? Probably. Cyberpunk 2077 seems to be poised to release in or around the transition moment between two generations, but can it run on PS4 and Xbox One? 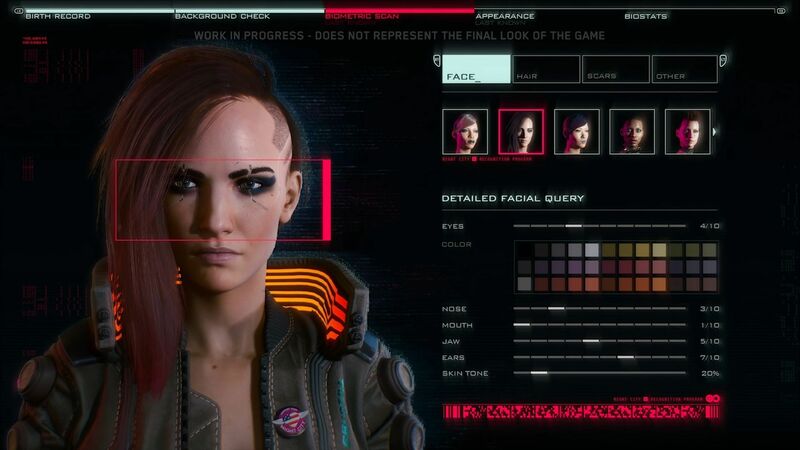 When the demo of Cyberpunk 2077 was shown for the first time behind closed doors at E3, many impressions surfacing from the show painted the game as some sort of next-gen miracle that would never run on current-gen consoles. Yet, CD Projekt RED confirmed that the studio is still aiming for PS4 and Xbox One. As the European exile of the site, I wasn’t at E3, so I was very eager to finally see the game in action myself at Gamescom in Cologne. When I sat in front of the screen and the gameplay started rolling in front of my eyes, I was certainly impressed, but what I saw did not lead me to think that this is a next-gen-only title. Before I continue, let me make this absolutely clear: I am not in any shape or form criticizing the game’s visuals. 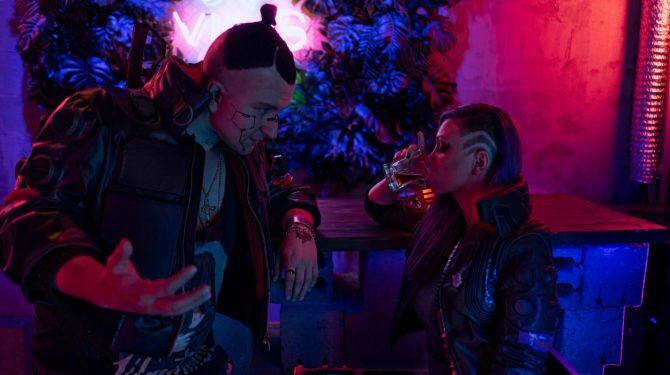 They’re fantastic, and the amount of artistry that went into creating Cyberpunk 2077‘s world deserves respect and admiration. This article simply focuses on guesstimating whether the game can run on current generation consoles without having its visuals completely crippled. The game’s environments are very dense, characters look super-detailed, and the gameplay we saw a few days ago is definitely running on a very beefy PC. Yet, CD Projekt’s engine is quite scalable, as The Witcher 3: Wild Hunt proved, and compromises can be made to run the game on PS4 and Xbox One without losing the overall spectacular effect. I don’t think I’m surprising anyone by saying that if the game does get released on current-gen consoles, it won’t look the same as the PC version. Yet, judging from what we saw, I firmly believe that not only it’s possible, but it probably won’t look that much worse. On the other hand, I expect the PC version and possible-next gen versions to look even better. 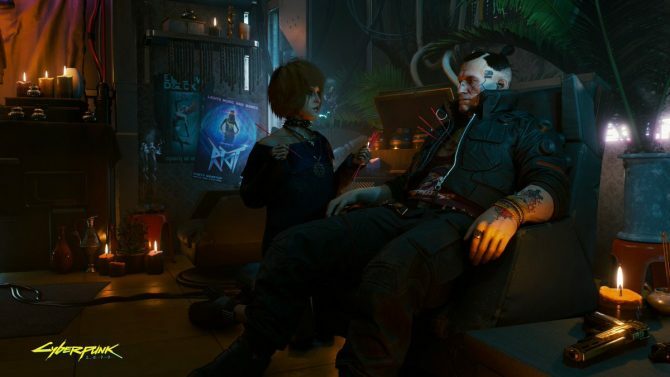 CD Projekt RED itself mentioned that what we’ve seen is far from final. There is a lot that can be done to further improve the game, from better facial animations and details to the addition of reflections, which appear to be almost completely absent for now. One of the elements that help considerably in the possibility of releasing this game on current-gen consoles is the much debated first-person-only perspective. In third-person games, one of the most expensive [editor’s note: when I talk about “expensive” in this article, I mean in terms of performance] things to render is the main playable character. Not only your own character tends to be the most detailed and complex character on the screen, but since it’s right in your face, in the center of the screen, its 3D model and textures need to be displayed at maximum resolution at all times. Replacing the main character with a gun, or a hand holding said gun, is a significant discount in terms of 3D geometry and textures that need to be displayed. This helps a lot in shifting those resources to displaying those super-detailed environments and other characters. The first-person perspective also comes with a much narrower field of view, which means that less of the environment needs to be displayed at all times, allowing CD Projekt to render what is displayed with higher detail and more complex geometry. This, incidentally, I believe is one of the reasons why the developer is so adamant in preserving its first-person only vision. Adding an optional third-person perspective would require a ton of bespoke work on animation on top of restricting what can be done with the environments (a room that needs to be explored in third-person cannot be as cramped as one that will be explored only in first-person). Yet, more importantly, it would also cause a massive jump in hardware requirements due to having to render the main character at all times with a much wider field of view. Of course, there are moments in the game in which our V is portrayed in third-person, but those moments are limited to cutscenes, in which the developers have much more control over what is displayed, and can afford to dedicate the required resources to V’s splendid character model. What I believe led many to think that running this game on current-gen platforms is impossible, is probably the environments. 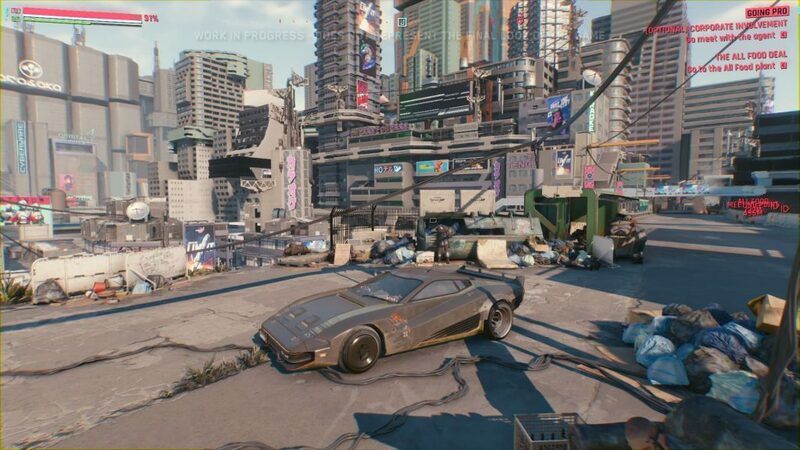 Cyberpunk 2077‘s rendition of Night City is breathtaking and extremely granular in how much detail is showcased on screen at all times. Even the crowds of NPCs populating the world are dense and diverse, performing non-elementary actions. While I can see where those who believe that this is impossible on PS4 and Xbox One come from, I also think they are underestimating what can be done in terms of optimization. First of all, a lot can be achieved with LOD (Level of Detail). This is a common technique in game development, which involves rendering distant objects and characters with increasingly lower resolution and complexity because the human eye wouldn’t easily perceive those details anyway. While the difference is visible when one pays attention (many games let you switch LOD on and off on PC, so you can see it with your own eyes), it’s hardly a deal breaker, and more aggressive LOD can be used on current-gen consoles to great effect. 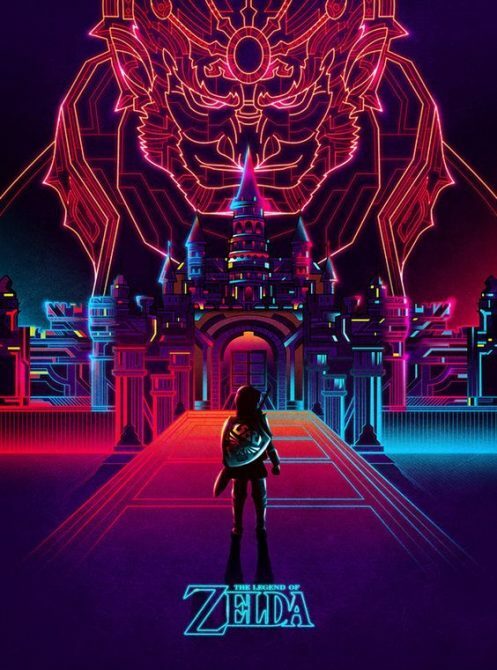 Another important detail is the nature of Night City itself. I wouldn’t exactly consider it cramped, but compared with fantasy games like The Witcher 3, environments are much more enclosed and vistas are consistently limited by the heavily-urbanized cityscape. We’re not going to be swinging around like in Marvel’s Spider-Man, and while driving is part of the game, it’s likely that we’re mostly going to be confined to the ground. We’re not going to be looking at hundreds of o trees at the same time, and we’re mostly going to be limited by buildings doing a very effective job at blocking our view. This means that occlusion culling and frustum culling can do a very effective job in requiring the engine to render only a very small part of the environment at any given time. If you’re unfamiliar with the terms, occlusion culling is a technique that excludes for rendering models that are hidden (occluded) by others, while frustum culling excludes the geometry and textures that aren’t in our field of view at any given time. 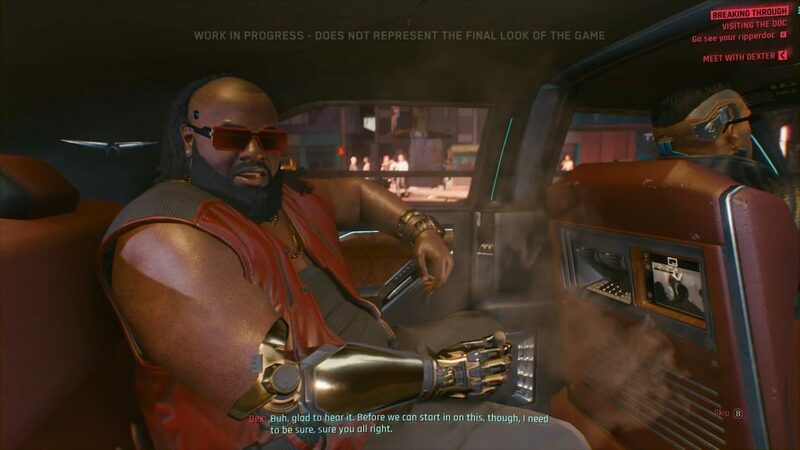 Ultimately, whether Cyberpunk 2077 will be released on PS4 and Xbox One probably depends more on release timing and economics than on the actual visuals, which again, I believe are feasible on current-gen for the reasons I mentioned above. 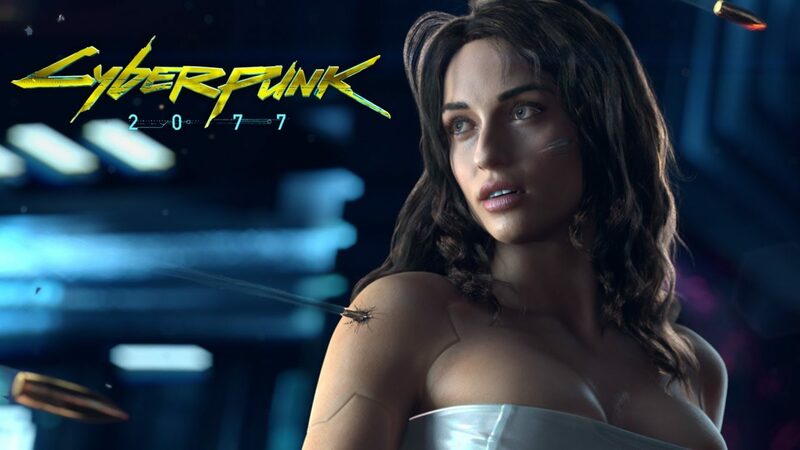 If Cyberpunk 2077 is released before or right after the next-generation of consoles from Microsoft and Sony, CD Projekt Red will probably have to launch it on PS4 and Xbox One. Why? Simply to be able to count on the large current-gen installed base to sell the number of copies required to recoup the costs of several years of development and the large expansion of the development team. A release over a year after the launch of PS5 or Xbox Scarlett (or whatever they will be named) might be welcomed by a next-gen installed base established enough that PS4 and Xbox One might not be required. One thing is for sure: with a doubled development team and several years in the making, Cyberpunk 2077 represents without a doubt a very, very large investment for an independent developer like CD Projekt Red. Unless the next-generation of consoles comes very quickly and sells very well right off the bat, the Polish developer might simply have to make the game work on PS4 and Xbox One. While the folks at CD Projekt have always been passionate and consumer-friendly, they’re ultimately a business, and by 2020 we’re probably looking at a combined installed base of over 150 million units between PS4 and Xbox One. I honestly doubt that they can afford to ignore it, considering the resources they have invested in making this game as awesome as it looks. If you want to check out more assets of the game, you can enjoy recently-released concept art and a batch of screenshots that were showcased at Gamescom. 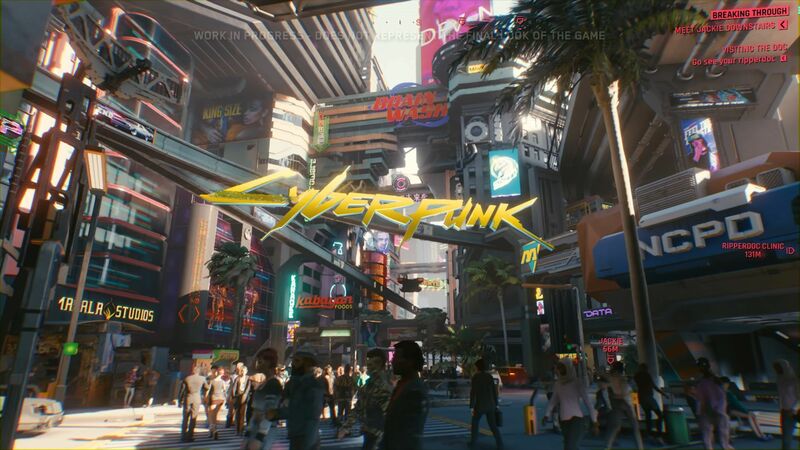 You can also watch the first cinematic trailer from E3 2018, and read CD Projekt’ comments on the first-person perspective, on the themes featured in the game, and on the size of Night City.